These pictures will document the installation of my tower and antennas. It is 120-feet of Rohn 45 with the top 60-feet rotating in guy-rings. Three phased Bencher Skyhawks are mounted at 47, 71, and 97 feet. 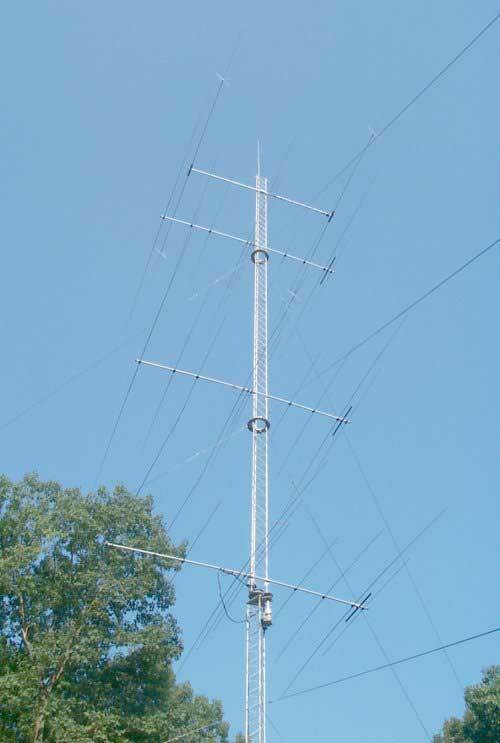 A 2-element 40-meter yagi is at 110-feet and a 2-meter vertical at the very top. The tower is guyed at 35, 65, and 95 feet. The rotating base is at 45-feet. 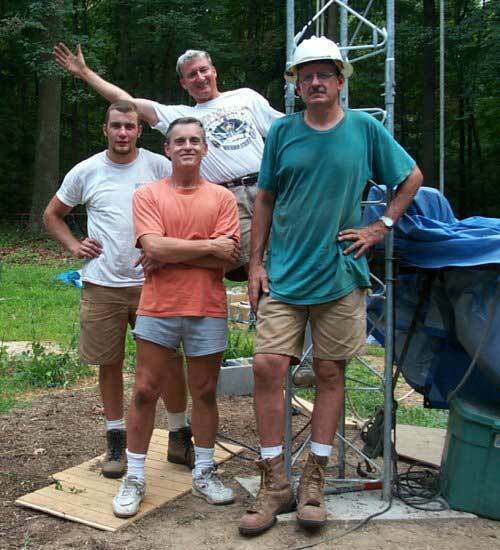 Guys are a combination of ¼-inch EHS steel and 6700# Phillystran. Installation was by Paul Nyland, K7PN, of Rotating Tower Systems and Jay Terleski, WXØB, of Array Solutions. 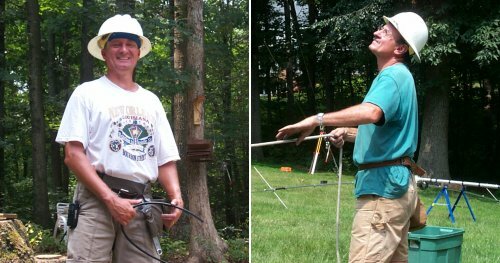 40-meter at top and three stacked Bencher Skyhawks! Array Solutions StackMatch for phasing the tribanders. Array Solutions "Ratpac" for switching antennas. 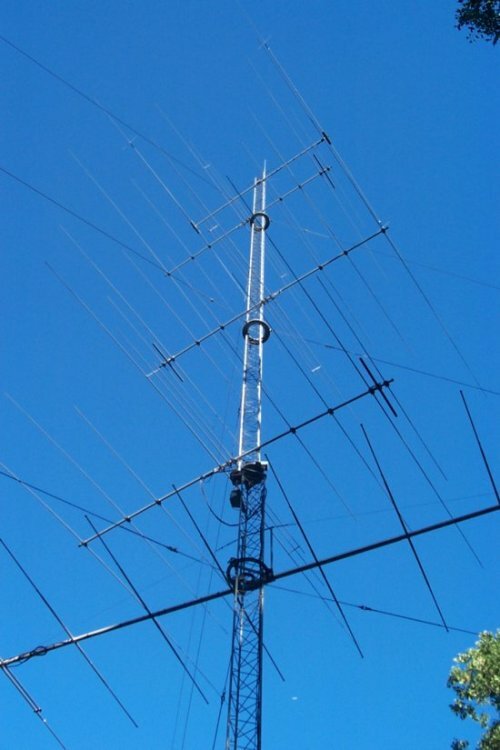 Rotator: M2 Antenna Systems model RC2800DC.